Which hot stocks are Wall Street analysts the most bullish on? Stocks with no “hold” or “sell” ratings and a pure “strong buy” analyst consensus rating. These are the stocks that make the most compelling investing opportunities — and I recommend keeping a close eye on them over the next few months. Using TipRanks’ powerful stock screener, I set out to pinpoint seven stocks that command the unanimous support of the Street. You can customize the screener filters to match your investment strategy. In this instance, I searched for mega-, large- and medium-cap stocks with a “strong buy” consensus from analysts and best-performing analysts. These are the top analysts with the highest success rates and average returns. From the results, you can immediately see a pie chart showing the spread of analyst ratings (buy, hold and sell) on each stock over the past three months. This makes it very easy to spot stocks with only “buy” ratings. 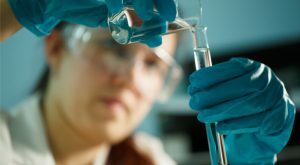 Exact Sciences Corporation (NASDAQ:EXAS) is a healthcare company committed to helping win the war on cancer through early detection. Its key product is the non-invasive Cologuard cancer screening kit, which can be used in the privacy of your own home. Shares have more than doubled over the year to the current share price of $45. Even so, analysts are still confident that the stock has further upside potential left. Take five-star Canaccord Genuity analyst Mark Massaro. On Sept. 7, he reiterated his buy rating with a $45 price target. Exact Sciences remains a top pick for 2017 says Massaro. He is encouraged by the company’s recent upbeat investor presentation. In particular, Massaro referred to Exact’s new financing giving it greater flexibility, potentially reduced ad spend. He is also excited about upcoming liquid biopsy development plans. Note that Massaro has a very profitable track record on Exact stock specifically. Across his 29 EXAS ratings he has a 66% success rate and huge average return of 65.3%. This list would not be complete without semiconductor giant Broadcom Ltd (NASDAQ:AVGO). The stock has a record 21 straight buy ratings. In fact, the last time an analyst published a hold rating on AVGO was a year ago. And the stock has top-notch upside potential to match. From the current share price, analysts are predicting that AVGO can rise 21% in the next 12 months. At the same time, AVGO is a very dividend-friendly stock. This is a situation that is only going to improve, says Morgan Stanley’s Craig Hettenbach. He calls AVGO a “cash return” story for investors. He expects a dividend increase next quarter, saying “the company could raise it another 60%-75% after doubling it last year.” That works out as “6x the market and 7x semi peers.” Hettenbach has a bullish $290 price target on the stock. This groundbreaking 3D design company makes software for people who make things. In the last three months, Autodesk, Inc. (NASDAQ:ADSK) has received an impressive nine back-to-back buy ratings. One of these bulls is Evercore ISI analyst Kenneth Talanian. Not only does he have one of the highest price targets on the stock, he also has an 88% success rate and 18.2% average return across his ADSK ratings. He believes Autodesk can reach $135 — 20.2% upside from current share prices. “Increased confidence on the subscription conversion program, continued demonstrated expense control, and derisked guidance for F2H18 represents an encouraging setup for the stock” says Talanian. 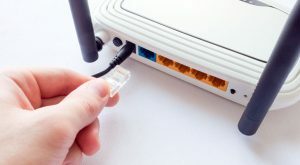 Plus “there is material upside to the stock with multiple levers for upside inclusive of the M2S (maintenance to subscription) program, moving more business to direct sales, and capturing the piracy base.” Indeed the company’s M2S program has already shown strong initial signs of success. Overall, analysts predict that the stock has over 13% upside from the current share price. And notably even the lowest price target still means upside for this steadily rising stock. 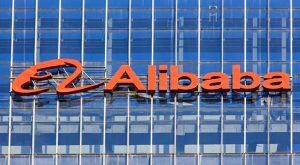 Chinese e-commerce giant Alibaba Group Holding Ltd (NYSE:BABA) is one of the favorite top stocks for analysts right now. The world’s largest online and mobile commerce company by gross merchandise volume (GMV) has no recent hold or sell ratings. But it has received 14 back-to-back buy ratings in the last three months. “Alibaba has also been building up one of the most comprehensive business ecosystems in the world, covering a wide range of business offerings, which all together create compelling network effects” concludes Helfstein. Edwards Lifesciences Corp (NYSE:EW) is a firm market leader in the heart valve market. The stock has received nine buy ratings in a row from analysts — and was placed on Goldman Sachs’ high conviction list in spring. But it is the stock’s potential upside of over 20% from the current share price that really catches the eye. At the end of August, many analysts bumped up their price targets following the company’s strong beat-and-raise quarter. The inclusion of this construction engineering firm in the list may come as a surprise. After all Dycom Industries, Inc. (NYSE:DY) shares are down on moderation by AT&T Inc. (NYSE:T) ahead of the upcoming closure of the Time Warner Inc (NYSE:TWX) deal. But this short-term weakness belies the fact that Dycom has serious potential. DY will gain from fiber deployment closer to the home, and the importance of fiber to the 5G converged network. Four analysts have published recent buy ratings on the stock, with projected upside of close to 17% from the current share price. Best of all, the stock’s “12-month backlog of $2.8B, which increased 20% YOY and 16% sequentially, provides us with the visibility for this upcoming inflection.” At the same time, Dycom could also benefit from the restoration of cable/internet outages after Harvey and Irma, says Rygiel. Successful international outsourcing firm Cognizant Technology Solutions Corp (NASDAQ:CTSH), is one of Fortune’s Most Admired Companies — an award it has won for nine years in a row. Meanwhile 12 analysts have published buy ratings on the stock. And their projected average price target for the company translates into 11% upside potential. Investors are feeling increasingly confident that President Donald Trump will not make big changes to the U.S. immigration policy. CTSH brings in a huge number of workers with H-1B visas to fill skill shortages — and stricter regulations would have been very challenging to work around. Now that immigration risk is reduced, Berenberg Bank has upgraded the stock from hold to buy. Berenberg analyst Georgios Kertsos also ramped up his price target considerably from $65 to $85 (18% upside). He believes there is big potential upside for investors and that potential U.S. tax reforms are not currently reflected in shares. Article printed from InvestorPlace Media, https://investorplace.com/2017/09/strong-buy-stocks-wall-street-sure/.